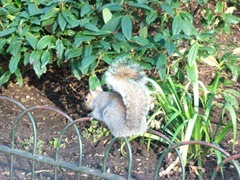 Whenever workload and weather permits I like to leave the office at lunchtime and take a walk. Sometimes this is a brisk walk around London's streets and other times a more leisurely stroll in the park. 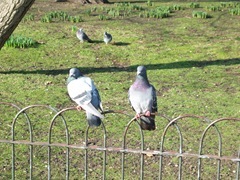 The nearest park to my office is actually Green Park. 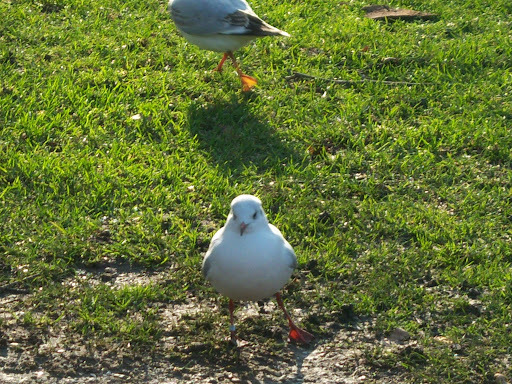 Green Park is great if you just want to sit and enjoy the sunshine and read a book, but there isn't much to see, it is pretty much just grass and trees. Walking through Green Park and across the Mall brings you to St James's Park; an altogether different proposition. 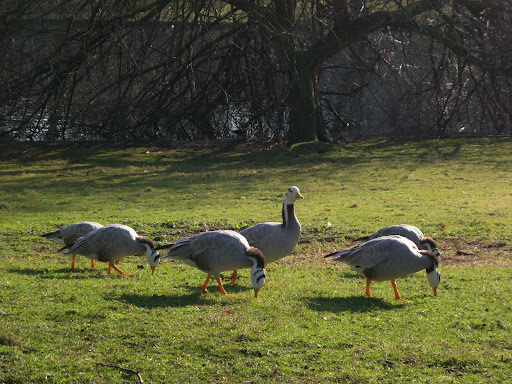 Although there are neatly mown lawns and beautifully manicured flower beds the focal point of the park is the lake with attendant wildfowl; although wait a couple of weeks if you want the birds as the lake is currently undergoing maintenance. 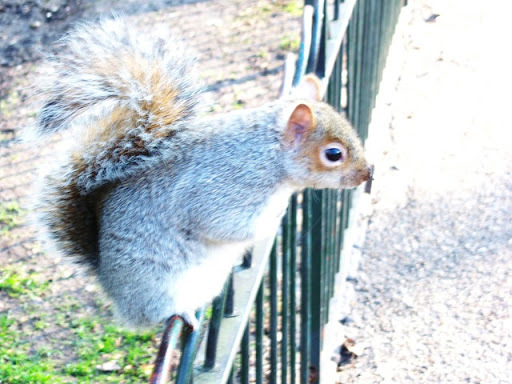 As you walk down the path towards the lake more than likely you'll meet some squirrels. 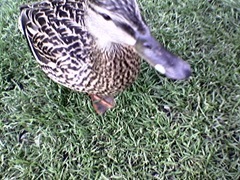 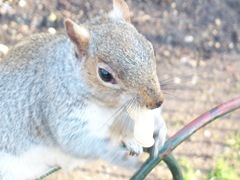 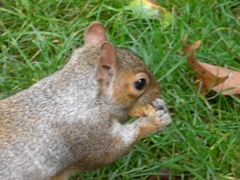 They are extremely tame, and if you have some nuts to offer them they will eat out of your hand! 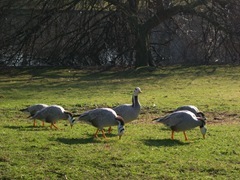 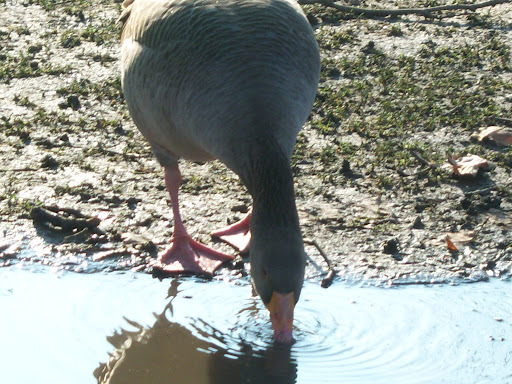 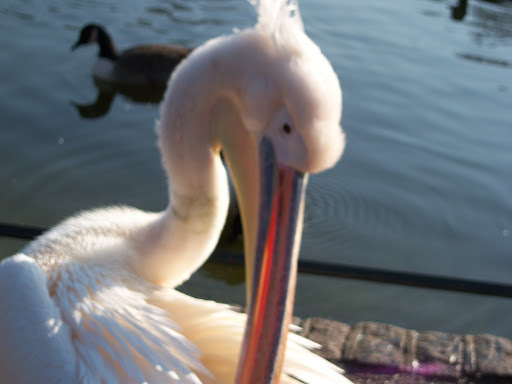 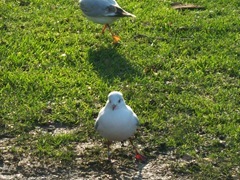 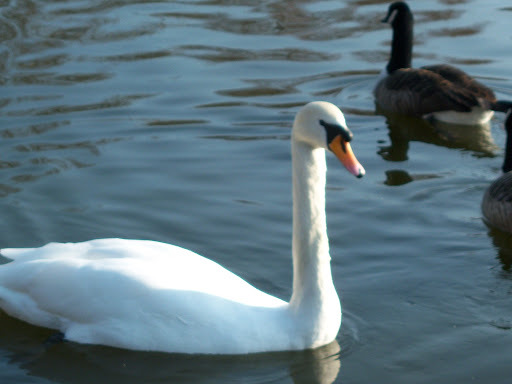 At the lake you will find a variety of wildfowl and birds; pigeons, seagulls, ducks, geese, swans and even pelicans! Again most of these birds are extremely tame (especially the ducks and geese) and will definitely try and join you if you sit down for lunch! 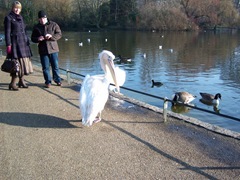 The pelicans are quite stunning with their enormous beaks - and more than happy to pose for the tourists!